You’re not alone if you can’t stand to interview applicants who don’t dress appropriately or chew gum. We’ve found some additional pet peeves reported by human resource professionals and employers of all kinds. Answer a simple question with a 10-minute answer. Talk badly about their previous employer. Don’t bother or can’t seem to follow instructions, like where to park. Use the wrong company name on the cover letter. Ask about salary before they’re offered the position. Act like they don’t care whether or not they get the job. How often do you experience these annoyances? How do you deal with them? 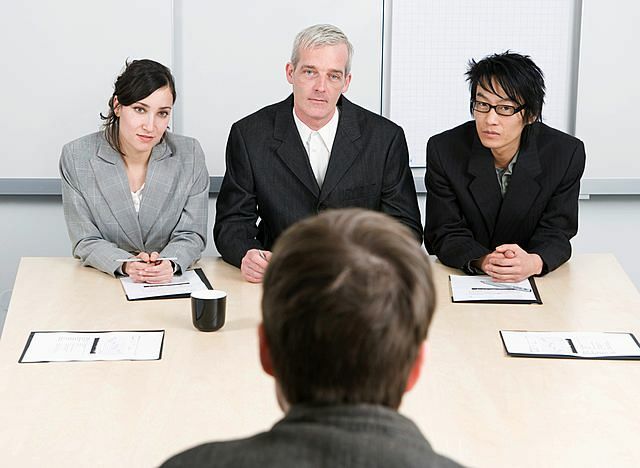 When you’re recruiting the perfect team, don’t neglect employee background screening. The best pre-employment screening process includes employee background checks, employee credit checks, and criminal background checks. You’ll know you’re hiring safe when you screen employees before offering a position. In cities like Philadelphia and Portland, Oregon, city councils have recently approved laws requiring that employers give employees paid days off when they are sick. San Francisco, Washington, D.C., Seattle and Connecticut have already enacted laws that require paid sick leave. In addition, two lawmakers have introduced a bill in Congress that makes paid sick leave a federal requirement. 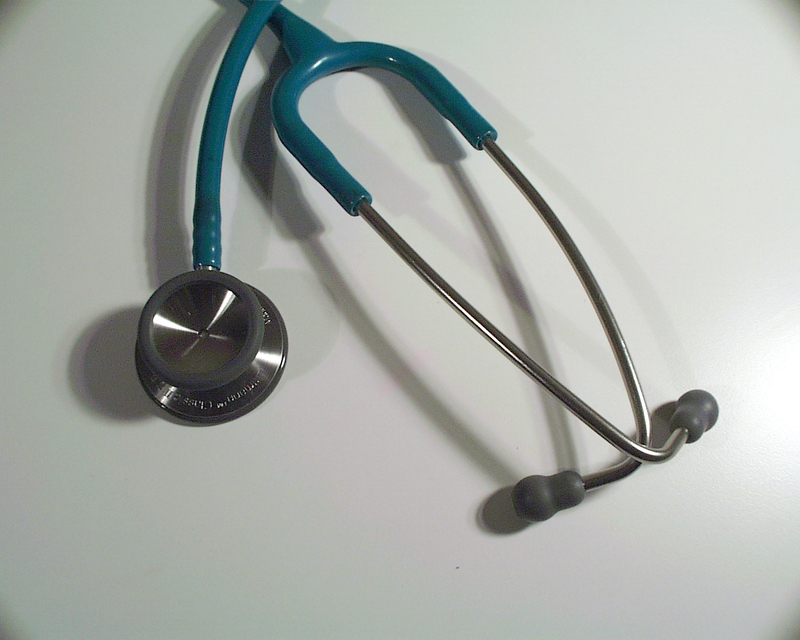 How does your small business handle sick pay? Some allow employees to accrue sick days according to time on the job. Others give a set amount of paid time off per year, and employees can choose to use it for vacation or when they are sick. And others don’t give paid days at all, forcing employees to choose between going to work when they’re ill and getting paid. Many employers say they cannot afford to give sick time; it’s a burden they can’t handle until the economy fully recovers. Others are nervous about federal health care changes, and aren’t sure what their financial impact will be. But employees and experts say that paid sick leave is worth the investment, because it improves morale, increases productivity and lowers turnover. Employees feel valued by their employer when they are incentivized to get well before returning to work. Plus, they don’t spread their illness to others, keeping productivity higher. Keeping illness out of the workplace is particularly important in the food industry, but any company can benefit. Nationwide, 66% of all small businesses (up to 499 employees) provide paid sick leave, according to the Bureau of Labor Statistics (BLS). Of those businesses with fewer than 50 employees, half do. And 82% of employees at companies with 500 or more workers receive paid sick leave. The federal Healthy Families Act would require that workers be allowed to earn up to seven days of paid sick leave per year. It would exempt employers with fewer than 50 employees. The BLS recently issued a study that shows that in general, workers take few sick days. Those in information, transportation, financial services and professional services take an average of four sick days per year. In the leisure, construction and hospitality industries, the average is two per year. What do you think about the prospect of a federal law mandating paid sick leave? Or do you already offer this benefit to your employees? pre-employment screening process includes employee background checks, employee credit checks, and criminal background checks. You’ll know you’re hiring safe when you screen employees before offering a position. Are Your Employees Getting Restless? Employees are not getting training and development to help them advance in their careers, according to a recent survey. In addition, two-thirds of workers aren’t receiving any feedback or recognition at all. The data was released after a November survey conducted by Cornerstone OnDemand, Inc., an HR software vendor. The company asked nearly 500 U.S.-based employees about their jobs and future plans in the wake of the economic slowdown. The survey revealed that in the past six months, slightly less than one-third of employees received training, while only 25% had met with their supervisors to develop a career plan. These figures are telling, because they illustrate a fundamental problem with America’s employers—they are not developing their employees, training them to improve and build real careers. What happens then? The employee leaves, and the cycle begins again. Certainly, many employers cut back on training and development during the recession. But the lack of training is leading workers to change jobs in a big way. According to the survey, 13% of the U.S. workforce (or 19 million employees) plan to change jobs this year. The cost to businesses is estimated to be about $2 trillion. 14% plan to leave their current job within six months to a year. 25% plan to switch employers within the next three years. 46% of those surveyed said they have a long-range career with their current employer. 48% of respondents said they stay at a job because of a good manager. 46% stay on a job because of appreciation. 39% cite opportunities as a reason to stay. 32% said the chance to develop new skills is why they’ll remain on the job. If companies fail to give employees the recognition, training and development they want, they should almost plan on workers leaving and seeking it elsewhere. The face of hiring and human resource management is changing fast. The combination of advances in technology and changes in legislation (can you say, “Affordable Care Act”?) will impact employers in a big way in 2013. To stay ahead, companies need to implement changes in their operations, or they will fall behind. Companies are starting to buy into HR software consolidation in a big way. Instead of using dozens of different software applications to recruit, hire, manage and measure employees, organizations will utilize enterprise content management (ECM) systems to bring everything into one system. Efficiency improves, while costs decline. Continuing the trend of data management, more HR departments will address the problem of providing access to employee data while keeping it safe. Creating secure, central databases can eliminate the downtime in locating employee information, as well as the mountains of paperwork that causes storage and confidentiality issues. As more employees bring their personal devices, from smartphones to tablets, into the office, employers will need to create policies to address their use. BYOD, which stands for Bring Your Own Device, is a trend that many employers are starting to become accustomed to. Employees who are allowed to bring in their own devices are more productive, because they are more familiar with the technology and have loaded the apps that work for them. However, companies must guard against misuse of company communications and leaks of trade secrets, customer data and other sensitive information. In more companies, HR will become a major player in long-term goals and strategies. Chief HR Officers will become more common, HR software will be integrated in business planning, and better analysis will allow organizations to crate more results-driven projects. The word of 2013 might very well be “engaged.” Employees will need to be engaged in order to be happy and productive. Interactivity will become a bigger part of recruiting, training, and performance evaluation. It’s what employees are used to, and where the business world in general is heading. 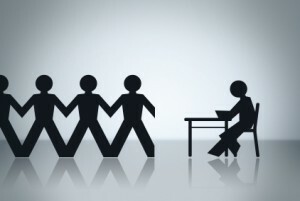 One trend that never loses favor is employee background screening. The best pre-employment screening process includes employee background checks, employee credit checks, and criminal background checks. You’ll know you’re hiring safe when you screen employees before offering a position. Many employers are embracing change in health care rates and regulations by trying to create a healthier workforce—one that smokes less, weighs less and has lower rates of high blood pressure, diabetes, strokes and cancer. Popular ideas include partnering with fitness centers for reduced pricing on memberships, and sponsoring smoking-cessation clinics and classes. Some employers pay workers to walk or ride their bikes to work, or have created sports teams and walking clubs. Still others help employees lose weight by paying for Weight Watchers or other weight-loss plans. All of these positive incentives have helped countless employees start on the path to healthier lifestyles. Now there may be a bit more negative reinforcement going around. In a different approach to behavior change, many employers are encouraging employees to change their behavior through disincentives. These work by punishing employees for failing to meet goals that they set for themselves. How does disincentivizing work? First, employees set health-related goals and sign a commitment contract that they will reach them. They also choose motivators to help them stick to the commitment. Penalties for failing to lose the weight or for smoking a cigarette include charges to participants’ credit cards or donations to a charity organization the employee particularly dislikes. For example, a bacon lover who needs to lose weight might see a $2.00 donation to PETA each week he or she fails to meet the goal. For some employees, little punishments like these are much more motivating that all the positive reinforcement in the world. 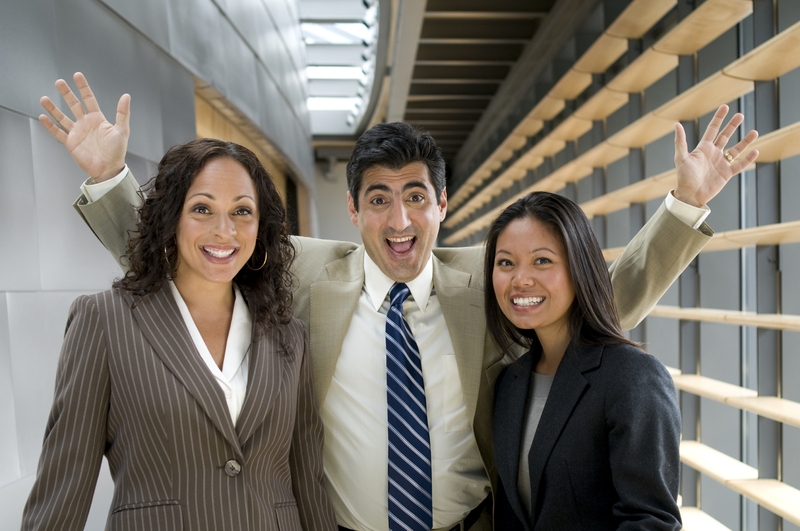 Try establishing some fun incentives or disincentives for your employees. Different people respond to different approaches, so try both to see what works. If a healthier company is the result, it will be well worth the effort! When hiring new employees, be sure to conduct proper background screening. The best pre-employment screening process includes employee background checks, employee credit checks, and criminal background checks. You’ll know you’re hiring safe when you screen employees before offering a position. 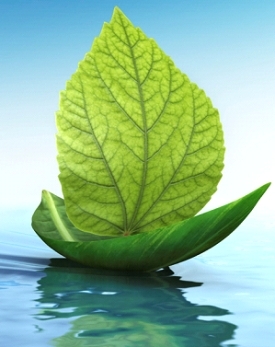 What Does Sustainability Mean Today? Plenty of companies are touting their sustainable practices and accomplishments. But sustainability goes beyond switching to recycled paper and reducing waste. Employers may have heard that sustainability has taken on a broader definition that encompasses good human resource practices. Sustaining employee relationships is a big part of a more holistic business view. Just ask any company manager who has applied for sustainability certifications: many of the questions will be related to HR. Certifying agencies want to know how employees are treated and paid, and how the company relates to the community at large. HR departments are more engaged in building a company culture that embraces all forms of sustainability. Organizations are trying harder to build good community relationships by supporting worthwhile organizations and leading the way to improve daily life for everyone. They are improving their diversity, from the boardroom to the shipping room. They are focusing on the “triple bottom line” of people, planet and profits. Creating a sustainable culture can start with the little things: recycling and reusing are certainly an important foundation. From there, it’s important to take care of employees through fair pay and benefits, training and performance management, and by actively pursuing diversity and inclusion. Finally, going beyond the company’s walls to improve surrounding communities helps ensure a healthier place to live, work and do business in. All of these steps contribute to the new definition of sustainability: a long-term view of how to do business fairly, rather than a close-up focus on sales and profits. And still, many companies report a positive return on their sustainability program investment, along with a rise in morale, efficiency and loyalty, and an improved public image and brand awareness. Sounds like creating a sustainable culture can be an all-around winning strategy that benefits the company, its employees, the planet and the community. At first glance, whether to allow employees to use their personal smartphones and tablets for work purposes seems like a job for IT. But it can be a headache for the HR department and business owners, as well. Mobile devices are more popular than ever, enabling people to work from almost anywhere, around the clock. This is where it starts to get sticky from a personnel policy standpoint. Non-exempt employees must be paid for any work they perform for an employer, whether or not they are onsite—and whether or not the employer knows about or authorizes their work. To avoid this potential nightmare, many firms have established policies against issuing company-paid devices to these workers and closely monitoring any use of personal devices. At minimum, a clear policy prohibiting the practice is required. Even exempt employees could be entitled to pay if they check messages or check in on projects while on vacation or a leave of absence, so be careful to communicate the policy at every opportunity. Personal devices also leave companies at risk for a variety of lawsuits. The proliferation of texts and social media posts present the potential for liability, from sexual harassment to consumer retaliation. It’s important to maintain the same control over text messages as any written communication—even through texts are often viewed as less formal, and therefore not subject to established policies on sexual harassment and public statements. Finally, employees’ personal devices can be conduits for sensitive company information. When staffers with access to such information are terminated, big problems can ensue. Even though it can wreak havoc if placed in the wrong hands, employers may not be entitled to access an employee’s personal device, either to capture information for use in legal proceedings or to wipe it clean. It’s best to limit access whenever possible, but that’s not always practical. When developing a personal device policy, include a release that workers agree to allow the company to recover data from their smartphones or tablets when they leave the company under any circumstances. Be sure to include these issues when writing your company’s policy on workers using their personal devices at work. And if you haven’t yet instituted such a policy, you should consider making it a priority. What Does Hiring Look Like for the Rest of 2012? CareerBuilder, the online job-search site, released a report about the state of hiring in the U.S. for the rest of 2012. According to the report, things look good for job seekers—at least, when compared to 2011. Overall, jobs recovery is slower than in previous times of recession, but 44% of private sector employers plan to hire full-time, permanent staff through December 31, 2012. That’s an increase of 9% over the same period last year, and 16% over 2010. Job listings now show more variety in terms of size of company and region. In 2010, “hiring activity… was driven by large employers in metropolitan areas,” said CareerBuilder’s CEO, Matt Ferguson. Today, jobs are being advertised in all industries and market and company sizes. Employers planning on hiring part-time employees through the end of 2012: 21%, up from 15% in 2011. Employers with 500 or fewer employees who plan on hiring full-time, permanent employees: 34%, up from 27% in 2011. Employers with 50 or fewer employees planning on hiring full-time, permanent employees through the end of 2012: 21%. Full-time, permanent hiring looks promising in all regions, with the West at 47% of employers, up from 35% in 2011; the South, 45%, up from 28%; the Northeast, 44%, up from 34%; and the Midwest, 40%, up from 32% in 2011. 7% of employers expect to downsize staff. As far as industries go, 24% of new hires will be in customer service, 22% in information technology, 21% in sales, 16% in administrative, 13% in business development, 12% in accounting/finance, and 11% in marketing. If you’re an employer who expects to hire new personnel in the next few months, be sure to perform due diligence on each new hire. Check references and perform employment screening checks to be sure that the person you hire is who he or she says she is, has the background you’re looking for, and is not hiding any criminal background information you need to know! Create a positive environment: Promoting open communication, positive feedback, and friendliness can produce an overall feeling of positivity among your company. Relax the rules and allow comfortable clothing. 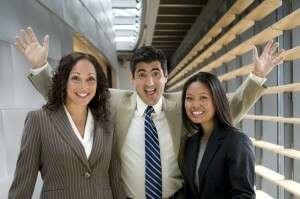 Encourage employees to express their personalities in their attire and work environments. Celebrate happy occasions more often. Open it up: Ban the private office in favor of group work areas. Provide private areas with comfortable couches for brainstorming sessions. Be family-friendly: Provide quality onsite day care. Absenteeism will decrease, and satisfaction will increase among staffers with kids. Promote play: Engage staff in activities such as 5K runs at lunch, mountain biking or surfing, or occasional bowling nights. If you’re close to the ocean, provide surfboard parking so employees can go surfing at lunch. Install a bike rack and buy a few used bikes for anyone to use. If you’re near a trail, encourage walking meetings. Close down for a day and go on a field trip. Install showers so employees can get their exercise before work or in the middle of their day. Make it meaningful: If your company gives back to charities, involve employees in making the decision about which groups to support. When their efforts support causes they believe in, their efforts to do well increase. When their work is meaningful, people are much more engaged in the outcome. Respect everyone: Respect comes in many different forms. From soliciting their ideas, to showing appreciation, to allowing employees to listen to music as they work. You can even provide the ear buds. Trust: Communicate expectations, but then trust staffers to meet their deadlines by working however how they work best. Give them the freedom to meet their objectives, but do check in to see if they need help. Do the right thing: If an employee needs time off for personal reasons, or if they need a more flexible schedule to care for kids or a parent, work with them. Flexibility doesn’t hurt the bottom line, but it goes a long way to creating loyal employees. Allowing employees to be themselves means they will bring their best selves to work every day. By promoting respect, play, freedom and trust, yours can be a company that people – even you – want to work for. Is Telecommuting a Good Option For Your Employees? Many employees like the idea of telecommuting. Avoiding the crowded freeway sounds like a great idea. Gas prices are high, so commuting can eat into a paycheck. And keeping an eye on the kids while getting a daily to-do list accomplished is a winning combination for parents who work from home (in their pajamas?). But is telecommuting as productive as working in the office? Employees say so. In fact, 86% said they were even more productive during telecommuting, according to a recent survey of telecommuting employees by Staples, the office supply retailer. In addition, 76% of employees who are allowed to avoid the daily commute to the office (an average 75-mile round trip among those surveyed) said they are more willing to work extra hours and feel greater loyalty to the company. What more could telecommuting employees want? A better chair. Nearly half said they need a more comfortable chair and that clutter in their home office affects their productivity. Of course, since Staples was conducting the survey, this finding is not all that surprising. Telecommuters are succeeding on their own, not because of support from their employers. 87% said their company supplied no furniture and about 60% said they received no equipment or supplies from their employers. Employees who telecommute report they eat healthier and are less stressed. The average reported drop in stress level was 25%. 80% of telecommuters say they have a better work/life balance. To stay in touch with the office, 96% of telecommuters say they rely on email, while 68% use instant messaging and 44% videoconferencing. 40% of respondents said they’d rather take a pay cut than stop telecommuting.